Each day we are affected by what we experience on both conscious and subtle levels. We may become energetically, emotionally, and mentally overloaded causing us to feel tired, overwhelmed, or confused. 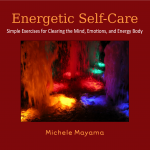 Michele offers simple concise exercises that assist people to energetically clear the mind, the emotions, and the energetic body. 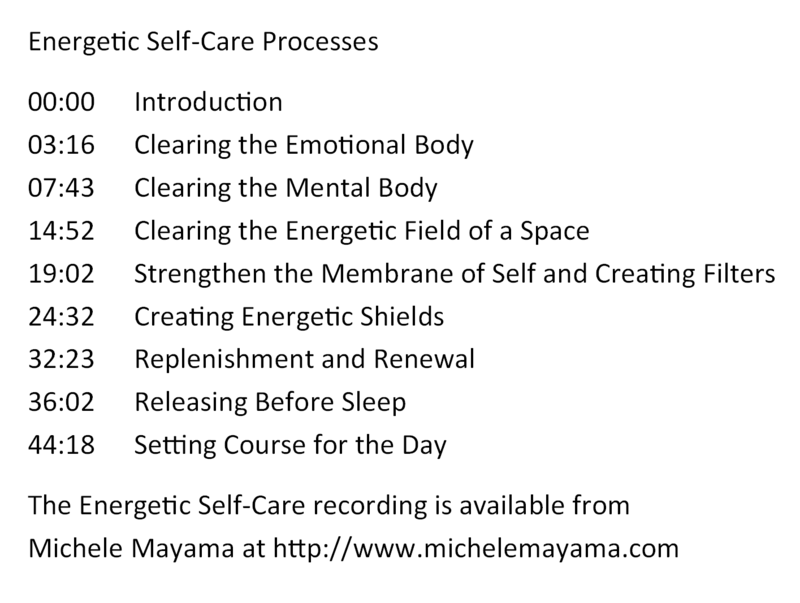 She also offers some energetic self-care tools such as filters and shields for use when needed. Use the CD to learn the exercises, to clear before going to sleep, or to realign after a long workday. In time, the exercises can be drawn upon as needed. This recording was originally created as a CD with multiple tracks to use separately as needed. The download version is a single file. It is suggested that you become familiar with the complete recording and then use each process as needed. The graphic below notes the times where each segment begins. You can save the image and print for future reference. A download link will be in the purchase receipt sent to your email address. Note that you cannot download directly to an Apple portable device (iPhone, iPad). a limitation set by Apple for audio files not purchased through the iTunes store. Your credit card statement will reflect a purchase from The Nakiyama Company.